Platinum hand carved comfort fit 8.0 mm wedding band. 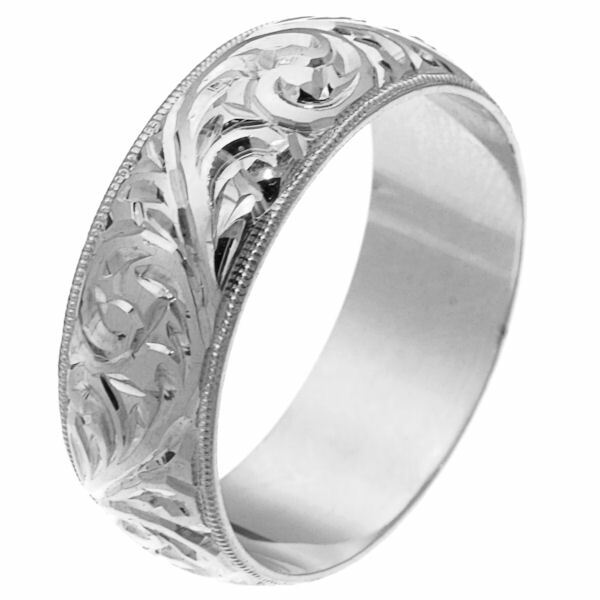 The platinum is hand carved with beautiful motifs with milgrain edges. It is 8.0 mm wide and comfort fit. The finish is polished. Different finishes may be selected or specified.